Our Shop: Order processing update; new Machin; P&G error; new products. Thank you for all the recent orders and for your patience while we deal with them. As most were for the new Walsall printings being distributed tomorrow (23rd) by Tallents House, we could not send these last week. All orders to 4175 have now been despatched, except for those which are being held pending receipt of other stamps/covers. Machin: I understand that the 2nd class Large booklet with M18L year code is around although we don't have a picture or stock yet. 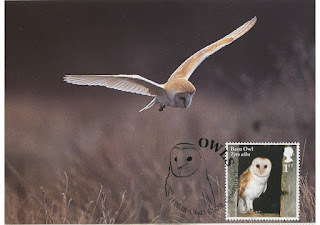 Harlow Post Office has been using Mail be Sea Post & Go stamps in the 2nd class position on their machine. 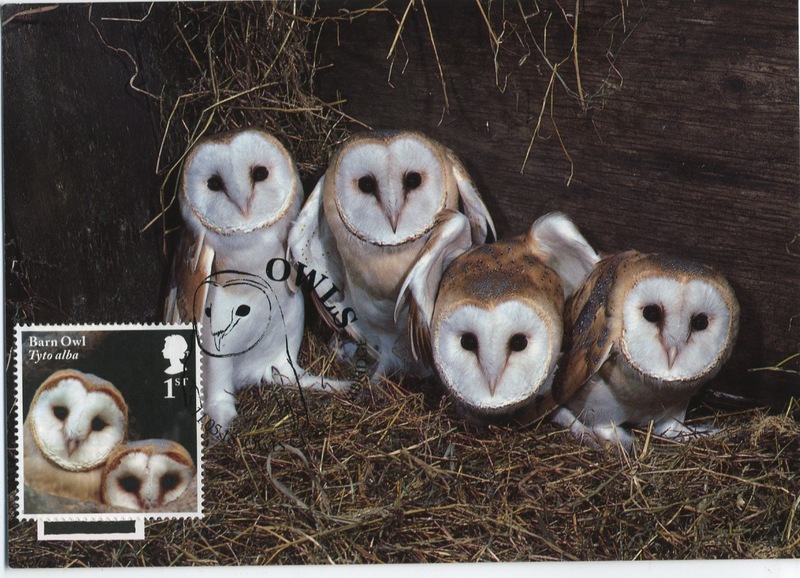 The next products to be added to the shop will be some maximum cards of the owls stamps, and some older Machins or definitive FDCs which have been missed. In Huntingdon post office last Thursday I bought some owl stamps which seemed to be the first they had sold. 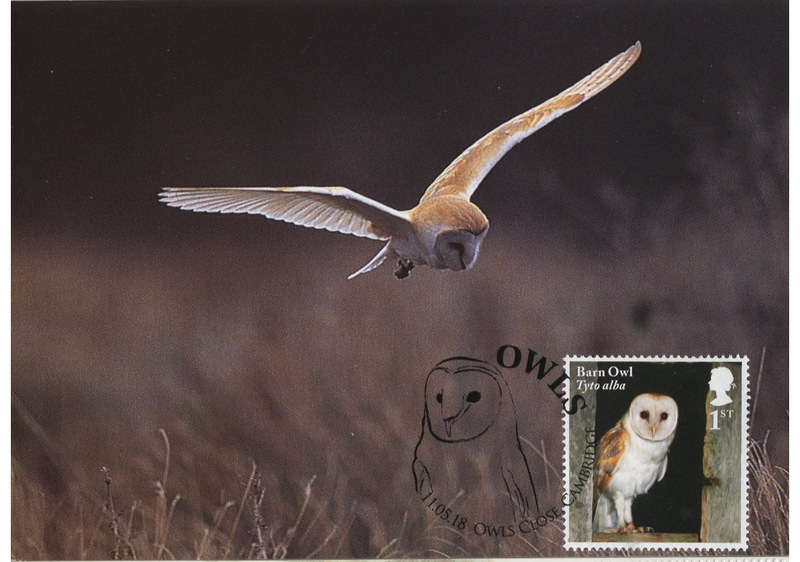 There seemed to be a virgin sheet of endangered species stamps beneath too. Perhaps Ian's observation that Royal Mail favours tv & film subjects as more popular is right: they sell better. Roll on Hampton Court though!